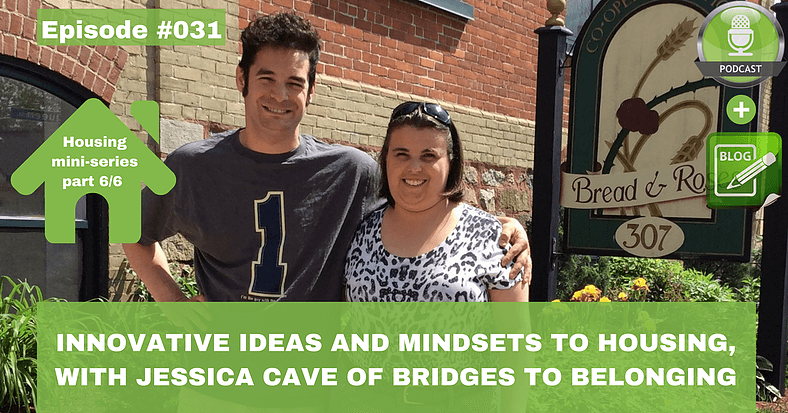 This week’s guest on the Empowering Ability Podcast/ Blog is Jessica Cave, Creative Housing Supports Coordinator at Bridges to Belonging in Kitchener, Ontario. 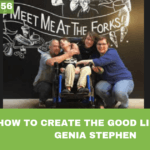 Jessica supports people with developmental disabilities and their families who are looking to make the next move in their life. 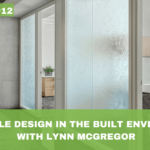 Jessica and I discuss her approach to helping families create a home, lessons learned from the Be At Home Creative Housing Supports project, innovative housing solutions, overcoming barriers to housing, as well as some great resources. An article in the Bridges to Belonging 2016-2017 Annual Report written by John Lord shares, the flipped assumptions of the Be At Home Housing Supports Project. 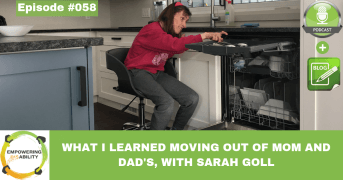 Jessica takes a person directed approach and works directly with families in the Waterloo Region helping them to take this new mindset, and facilitates the family through creating their vision for housing. Once the vision is created Jessica helps the family to think about what resources the family already has, such as, friends, community, support, and financial. Then they will think about what what the next steps are to bring the plan to life! Over the last year, Jessica has helped; 7 people to find housing, 12 people to actively work on their housing plan, and 12 people to create a plan and put it on pause to resume at a later time that is right for the family. 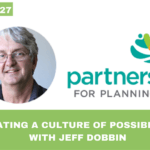 Tapping into the network of family and friends to access community resources. Creatively reducing costs with roommates. Testing Before Implementing: Jessica shares that by testing out your plan before implementing is a great way for people to understand what it is going to be like living on their own. It can help you understand what might work, and what might not work and you can adjust your plan accordingly. In Waterloo Region, there are programs that exist, such as Testing the Waters, and Trying It On For Size, that allow people to do exactly what their names suggest. Going to where community resources are richest: Jessica supported a couple that moved into a co-operative community where there was already a great community established. In a co-operative, there is often a culture established where the members are expected to contribute back to the community. You can find your own way to contribute to the community, whether that is gardening, group potlucks, helping a neighbour, or game nights. Anyone can apply to be a co-op through the community housing list. There is an interview and application process to see if that is a good fit for you. Jessica shares that, another place where there is often an intentional community is Eco-villages, which are becoming more abundant around the world. 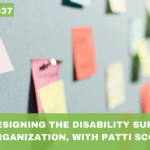 On the podcast, Jessica and I discuss how to overcome some of the most common barriers to a person with a developmental disability moving out on their own, including letting go and personal safety. 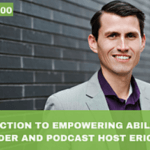 I thank Jessica for coming onto the podcast and sharing her valuable experience and insights to help people with developmental disabilities find a home of their own. This wraps up the mini-series on housing. If you would like to listen/ read about the other housing episodes you can find them here. I want to hear from you! Tell me what would be helpful for you to create a home of your own, or to help others create a home of their own. 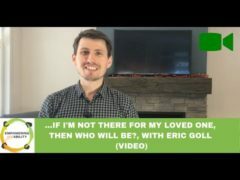 Email me at eric@ericgoll.com with your thoughts, and I will be sure to reply.